We are very lucky to have great opportunities to experience nature in our wonderful Lake County Forest Preserves. Here are some of my photos of nature. Most nearby. All but one of these photos was taken with my phone!! We strive to provide the best care possible. Our team is passionate about learning and continuously improving. The pace of change can be both exciting and overwhelming. Trust that we at Markiewicz Dental will always be improving. Here at the dental office of Dr. Anthony Markiewicz, we believe everyone deserves a healthy and beautiful smile. That’s why we’re proud to provide comprehensive dental services in a friendly and professional environment to our neighbors in Mundelein, Hawthorn Woods, Libertyville, Vernon Hills, Grayslake, Wauconda, and all of Lake County. If you have any questions related to dental health or the services we provide in our dental office, please feel free to give us a call at 224-358-3454, reach out to us at our contact page, or schedule an appointment online. We can’t wait to help you obtain a gorgeous smile. From everyone here at Markiewicz Dentistry, we wish all the best. 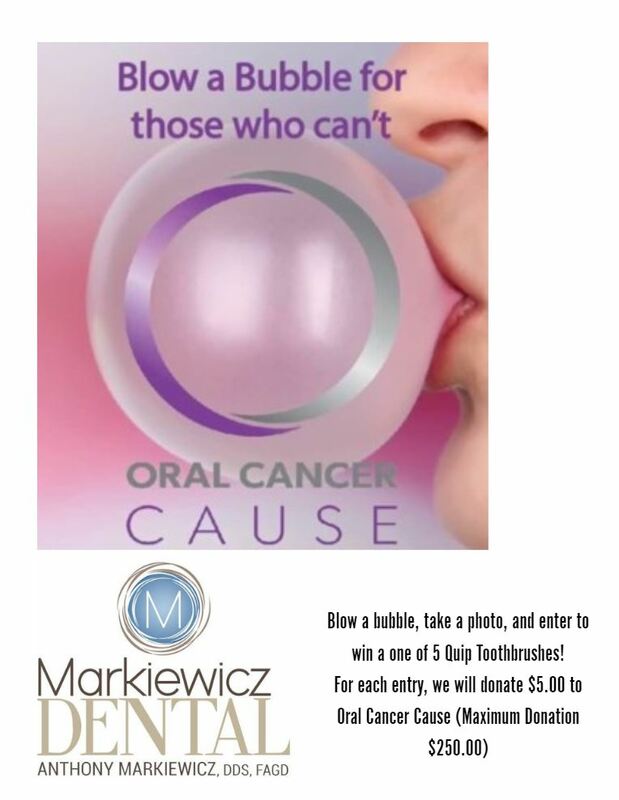 Don't forget to enter the Markiewicz Dental Bubble Challenge and raise awareness of Oral Cancer and enter to win one of five Quip Toothbrushes. I sent David Markiewicz on a mission to get a photo of Tiger blowing a bubble to enter him in the Bubble Challenge. Phones not allowed into Augusta though. 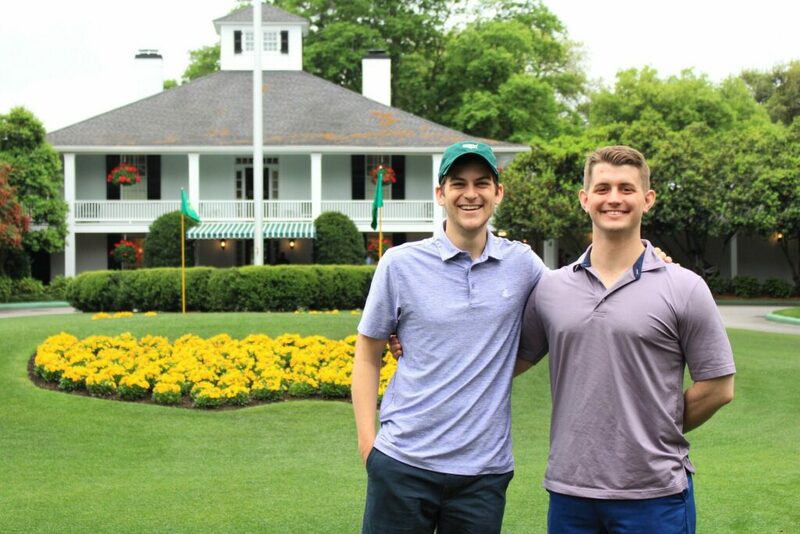 When you see David, be sure to ask him how he got to experience Tiger's win at the Masters. David Markiewicz will be joining our practice this summer. He has been busy this year. We would like to share this article from UIC which featured David. Read the entire article here. 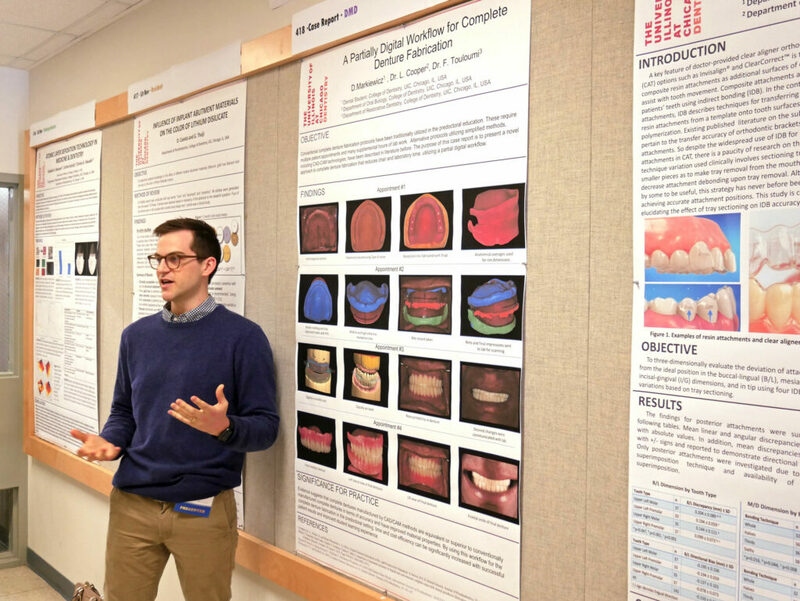 David Markiewicz, DMD Candidate, Class of 2019, presented his case report titled, "A Partially Digital Workflow for Complete Denture Fabrication." Digital technologies have been utilized increasingly in recent years, but seldom for denture fabrication. These technologies can make denture fabrication quicker and more affordable. Also, if a patient loses or breaks their denture, digital archiving can make replacing it as easy as calling the lab to mill it again. Only 12 percent of dental colleges use digital technologies in their predoctoral complete denture education. The process, which involves fabricating complete dentures using PVS impressions, can be lengthy, inefficient, and often results in frustrated patients, faculty, and students. Typically, the entire workflow can take anywhere from six to eight appointments. Markiewicz’s mentors were Dr. Foteini Touloumi, Clinical Professor, Restorative Dentistry, and Dr. Lyndon Cooper, Associate Dean, Research, and Head of Oral Biology. Digital workflows combined with products such as Ivoclar, Avadent, etc., hold the promise to revolutionize the way dentures are made and how they are taught in dental school. Markiewicz expects that this research and related product development to progress towards a completely digital workflow for complete denture fabrication. “Although the technology is not sophisticated enough yet, a completely digital workflow would include the ability to digitally scan edentulous arches,” said Markiewicz. As always, don't hesitate to contact us with questions. Here at the dental office of Dr. Anthony Markiewicz, we believe everyone deserves a healthy and beautiful smile. That’s why we’re proud to provide comprehensive dental services in a friendly and professional environment to our neighbors in Mundelein, Hawthorn Woods, Libertyville, Vernon Hills, Grayslake, Wauconda, and all of Lake County. If you have any questions related to dental health or the services we provide in our dental office, please feel free to give us a call at 847-566-2811, reach out to us at our contact page, or schedule an appointment online. We can’t wait to help you obtain a gorgeous smile. From everyone here at Markiewicz Dentistry, we wish all the best. Join the Fun: Bubble Challenge Week Two!! April is Oral Cancer Awareness Month. Our dentists and dental hygienists are often the only health professionals who complete a through examination of your oral cavity, head, and neck. Join us in promoting Oral Cancer Awareness Month by participating in the Markiewicz Dental Bubble Challenge. Many Oral Cancer patients have had their mouths reconstructed, teeth removed, palates removed, pieces of their tongues removed, and simply cannot ever chew gum again…or blow a bubble. 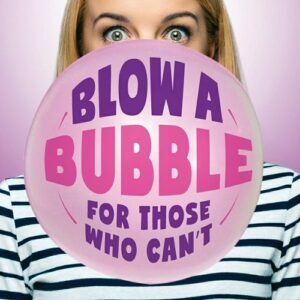 Join us by submitting a photo of yourself blowing a bubble, or stop in the office We will have a bowl of sugarless bubble gum. Blow a bubble and we will take a photo for you, or if you are like Dr. Markiewicz, who can't blow a bubble, just send a photo of yourself. 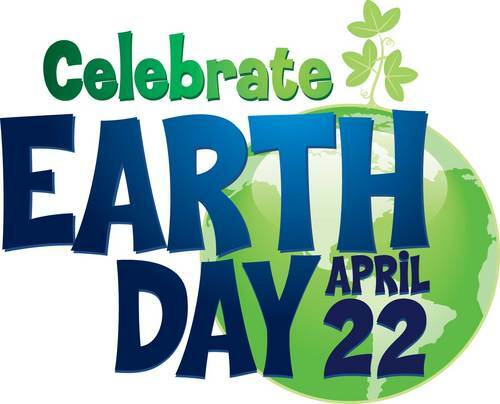 For every entry photo received during the month of April 2019, we at Markiewicz Dental, will donate $5.00 per photo ($250.00 maximum) to Oral Cancer Cause. Enter to win one of (5) five Quip Toothbrushes by joining our Markiewicz Dental Bubble Challenge. Blow a bubble, take a photo, and send it to us. It's that simple!! Make an appointment at Markiewicz Dental (847.566.2811) if you have any persistent signs and symptoms that bother you and last more than two weeks. We will likely investigate other more common causes for your signs and symptoms first, such as an infection. Stop using tobacco or don't start.If you use tobacco, stop. If you don't use tobacco, don't start. Using tobacco, whether smoked or chewed, exposes the cells in your mouth to dangerous cancer-causing chemicals. Drink alcohol only in moderation, if at all.Chronic excessive alcohol use can irritate the cells in your mouth, making them vulnerable to mouth cancer. If you choose to drink alcohol, do so in moderation. For healthy adults, that means up to one drink a day for women of all ages and men older than age 65, and up to two drinks a day for men age 65 and younger. Avoid excessive sun exposure to your lips.Protect the skin on your lips from the sun by staying in the shade when possible. Wear a broad-brimmed hat that effectively shades your entire face, including your mouth. Apply a sunscreen lip product as part of your routine sun protection regimen. See us at Markiewicz Dental as part of a routine dental exam, we will inspect your entire mouth for abnormal areas that may indicate mouth cancer or precancerous changes. Here at the dental office of Dr. Anthony Markiewicz, we believe everyone deserves a healthy and beautiful smile. That’s why we’re proud to provide comprehensive dental services in a friendly and professional environment to our neighbors in Mundelein, Hawthorn Woods, Libertyville, Vernon Hills, Grayslake, Wauconda, and all of Lake County. If you have any questions related to dental health or the services we provide in our dental office, please feel free to give us a call at 847-566-2811, reach out to us at our contact page, or schedule an appointment online. We can’t wait to help you obtain a gorgeous smile. From everyone here at Anthony Markiewicz Dentistry, we wish all the best. Oral cancers start in a part of the mouth: the lips, gums, tongue, cheeks, floor of mouth, or roof of the mouth (the palate). As they grow, they can come to involve the bones of the upper or lower jaw, they can spread to lymph nodes in the neck, or they can spread elsewhere in the body. Most oral cancers are squamous cell carcinomas, which is a cancer that comes from the lining on the inside of the mouth. Tobacco and alcohol use are the strongest risk factors for oral cancer. All forms of tobacco, including cigarettes, cigars, and chewing tobacco, put users at risk of cancer. Tobacco and alcohol are both risk factors by themselves, but the risks are even greater for people who use both. Is oral cancer related to human papillomavirus (HPV)? In recent years, human papillomavirus (HPV) has been found to cause an increasing number of cancers of the oropharynx, which is part of the throat. Cancers in the oropharynx (part of the throat) and oral cavity (the mouth) are not the same. To the best of our knowledge, HPV causes only a very small percentage of oral cancers. The most common symptom of oral cancer is pain, usually in the form of a non-healing sore which can appear white and/or red. A new lump in the neck that does not go away after several weeks can also be a sign of oral cancer. Whom should I see if I think I might have oral cancer? Dentists and primary care physicians can provide advice or referral to an appropriate specialist, most often an otolaryngologist (ENT) or oral surgeon. If oral cancer is identified, then it is usually managed by a specially trained head and neck surgeon. How is oral cancer treated? Oral cancer is usually first treated with surgery. Radiation and/or chemotherapy therapy are sometimes recommended after surgery depending on the exact nature of the cancer. See the treatment section below for more details. The other day, I was preparing to cement a crown. Prior to cementing the crown, the patient asked if I use “generic” cement or a brand name cement. I have been practicing dentistry for 34 years, and this was the first time I have been asked that question. It’s a good question. The two most dreaded courses in Dental School are Practice Management and Dental Materials. The two most popular Dental Continuing Education courses are, you guessed it, Practice Management and Dental Materials. The choice of a dental material is a significant factor in the success or failure of a dental procedure, so how do I choose? Continual learning and study is the only way to remain current on dental materials. Workshops, lectures, Study Clubs, On-line courses, journal reviews, and newsletters are what I use to stay on-top of the rapidly changing profession of dentistry. Since 1994, I have taken over 2000 hours of accredited Continuing Education. That is over 80 hours/year, that is 5x the amount of CE I am required to complete by the State of Illinois and that does not include the time spent reading journals and watching videos. OK, so how do I choose a dental cement or any other dental material? I evaluate what products are available and select what I believe to be the best type of material available. I will then research manufacturers and find the specific product that I believe will provide the best result. It is a simple process if I do my homework. Here at the dental office of Dr. Anthony Markiewicz, we believe everyone deserves a healthy and beautiful smile. That’s why we’re proud to provide comprehensive dental services in a friendly and professional environment to the citizens of Mundelein, Hawthorn Woods, Libertyville, Vernon Hills, Grayslake, Wauconda and all of Lake County. If you have any questions related to dental health or the services we provide in our dental office, please feel free to give us a call at 847-566-2811, reach out to us at our contact page, or schedule an appointment online. We can’t wait to help you obtain a gorgeous smile. From everyone here at Anthony Markiewicz Dentistry, we wish all the best. We have been very busy here at Markiewicz Dental, striving daily to provide our patients the best quality experience possible, each and every time you call or visit our office. That requires that we continually educate ourselves, whether it be through in-office training or continuing education. Chicago Dental Society Annual Meeting-our entire team spent two days in courses focusing on how to provide better care through improved or new procedures. Missy and Elizabeth were laser focused on finding solutions to make everything better from communication tools, patient comfort, or finding ways to make treatment affordable and don't forget; How to have fun!! 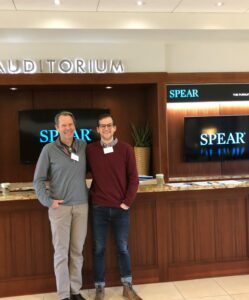 Spear Center -David Markiewicz and I spent three days at the Spear Center participating in a three day workshop on Treatment Planning. You can watch us at work Spear Workshop. Seattle Study Club Meetings-I attend regular study club meetings with local dental colleagues at the Elite Dental Study Club. Online Training-One of the fastest developing areas of healthcare is Airway Management. Notice I said Airway Management rather than Sleep Apnea Treatment. Our hygiene team of Brittany and Katie as well as myself are currently involved in multiple training programs focusing on learning how we can help our patients who suffer with Airway issues. Much more to come on Airway. Team Meetings-We have had regular team meetings. We focus on service, patient and team safety including a monthly medical emergency training.